ID Remarks: ! J. L. Gentry, Jr., 1973; ! 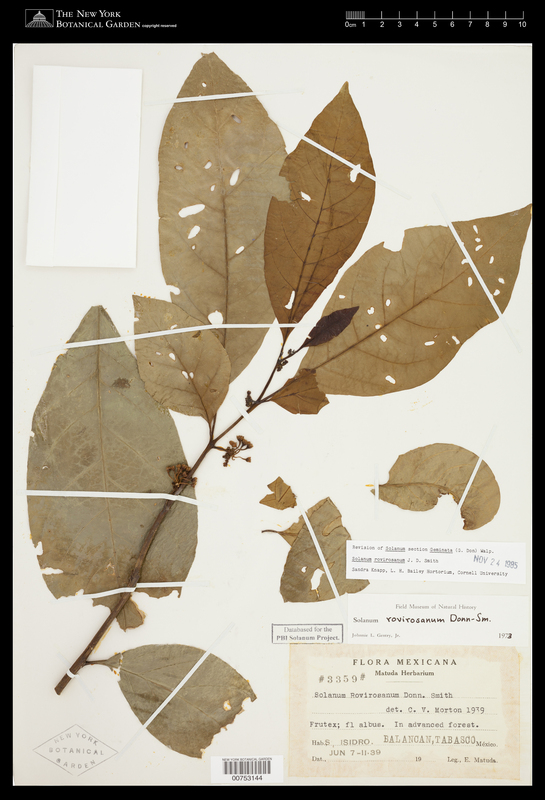 S. Knapp, 24 Nov 1985, "Solanum rovirosanum J. D. Smith, Revision of Solanum section Geminata (G. Don) Walp."